At Forward Summit, attendees participate in game changing roundtables, putting them at the center of important industry conversations with top executives, Indigenous leaders and their peers. The Hydocarbons Industry has come a long way in developing good relations with Indigenous Communities, what more can be done for inclusion, access to ownership and to ensure the future success and security of the Industry? Participants will gain a greater understanding of the new cannabis industry. Indigenous communities across Canada must be the drivers of investment, which means owning and operating space in all areas of the cannabis industry. Important public policy and Indigenous governance laws are currently being written which will be among the discussions. Discussing the growth of the clean tech industry within Indigenous Communities. Where are the opportunities for ownership and partnerships, and what are the barriers preventing growth. Financed focused roundtable, discusses the Indigenous initiative at Rotman School of Management: 3IT Financial Framework & Canada Infrastructure Corridor. Economies Forward panel discussions covers the current challenges, solutions, strategies and projects that are shaping the way both Indigenous and non-Indigenous organizations do business across Canada. Chatham House Rule will apply. Looking at the supply chain evolution of 42 “Procurement Champion” companies from various industries. What have they learned and how they have integrated Indigenous Business into their own supply chain requirements. 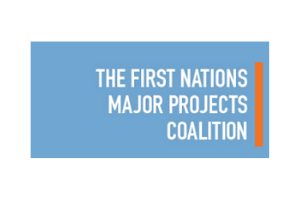 This multi-industry interactive panel will focus on how the First Nations Major Projects Coalition is working together with industry to ensure the success of projects in partnership with Indigenous Communities. The panel will tell the story of four Indigenous Entrepreneurs and their journey to building successful businesses. Showcasing strong, resilient and distinguished Indigenous women from across Canada. Forward Summit brings together thought leaders from Industry, Government, and Indigenous Communities for a full day focused on cultural differences, the ‘how to’ on workforce growth, workforce ready training and other case studies centered around inclusion in your organization’s labor pool. 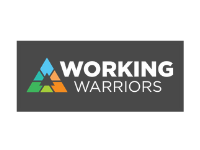 With analytical reports, conversations and assessments; Workforce Warriors will guide you through the process in creating a stimulating, tangible relationship and understanding key solutions for both communities and industry. The Indigenous perspective on learning about relationships is key when trying to build successful partnerships in communities. Attendees will learn the skills that are necessary to engage effectively with communities. Looking for more information on Forward Summit highlights? Do you have additional topic inquiries? 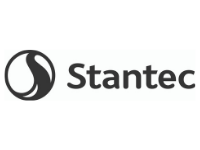 Leave your feedback or questions and a member of the conference team will follow up with you.